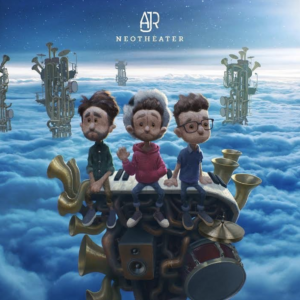 While the release of the two newest songs acts more as a teaser for the upcoming album, AJR blasted the release all over their Instagram and Twitter in order to hype up their loyal fan-base. The general theme of the two songs fits the usual theme of the messages that AJR explores in their music. AJR has been very open about the struggle with fame and fortune, especially in their hit song “Weak” which discusses how it is easy to fall to vices that are present in the celebrity scene. The first of the two songs “100 Bad Days” was released on midnight of January 29th, 2019. The music video was released a few days afterwards. “100 Bad Days” centers around the message of getting over your bad days by relating them to other people. Many of AJR’s songs have begun to focus on a college-age demographic as that is the age of the majority of that band members and this song is no exception. It’s an overall positive song about finding a silver lining in bad experiences, which seems to be a shift from themes of revolting against the media and drinking to find camaraderie. 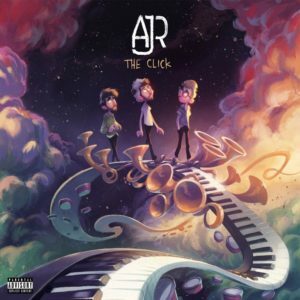 The song itself is a blend of pop and orchestra twirls, complete with a trumpet, showcasing AJR’s talent for blending musical instruments together. 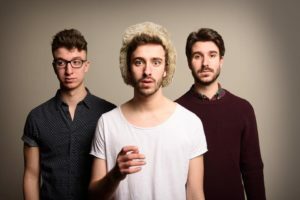 AJR is known for producing their music in their own recording space, and even recorded “100 Bad Days” on a phone before producing it into a song that Spotify would be proud to feature. The music video for “100 Bad Days” involves a lot of green-screen effects and artistic fragments of the brothers and other friends singing the tune and playing drums. “100 Bad Days” is reminiscent of “Burn This House Down” with its focus on more of a mainstream pop sound. “100 Bad Days” was performed on Jimmy Kemmel where the band also discussed their upcoming world tour. 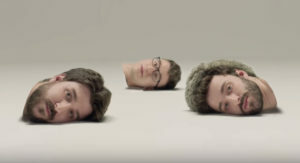 The second song released by AJR is “Birthday Party,” a much more playful piece that is less mainstream than “100 Bad Days” in the beginning of the song. While the song picks up in the first chorus, the music is still slow to get into the major beat, starting off with odd sound bite that sounds a bit like a video game character or another childhood game. The song centers around the naïve thoughts of someone just born. Each lyric of the song, even though the melody itself is upbeat, focuses on a danger in the media or our current culture. In one specific instance, the song comments on Instagram and the naivety some have when it comes to the backlash someone can face for posting something online. Another topic AJR tackles in the song is immigration, singing “I bet my ignorance is always bliss, except ignoring pigment in my skin. I bet my country’s nice to immigrants, that’s just what it is.” AJR also briefly comments on divorce before continuing on the song’s chorus that seems to be distorted into the voice of a child. 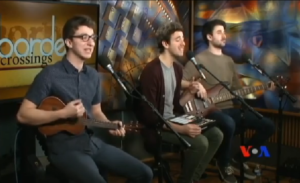 AJR regularly plays with voice levels, which is also evident in their song “100 Bad Days.” “Birthday Party” really centers around the mind of a child, or a baby, and how that sharply that naivety contrasts from what is true on media and in our culture. While both of these songs are just samples of what will come on the new album, AJR has already proved themselves by forging a new genre of electric-indie pop through their use of multiple instruments and vocal harmonies. Though “100 Bad Days” lacks much of the experimentation that is common AJR songs, it makes up for this in its lyrical exploration of the good times, not the bad. 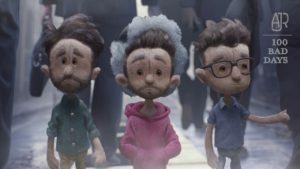 For “Birthday Party,” though the song is slow to start with for a pop to radio piece, the message of naivety within social media rings true across the AJR fanbase. I can personally say that I cannot wait for the rest of the album to come out on April 26th, and I have already bought my ticket for their world tour in the upcoming months.